Casablanca ( الدار البيضاء‎ in Arabic ), located on the shore of Atlantic Ocean in the western part of Morocco. 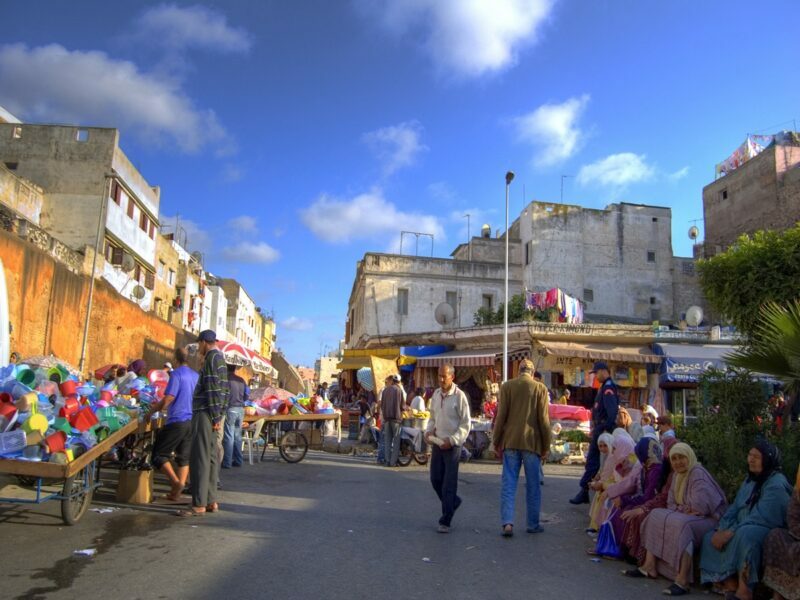 It is the largest city in Morocco and one of the most important cities in Africa, demographically and economically. In addition, Casablanca is the main industrial zone with a lots of facilities for companies and international corporations. 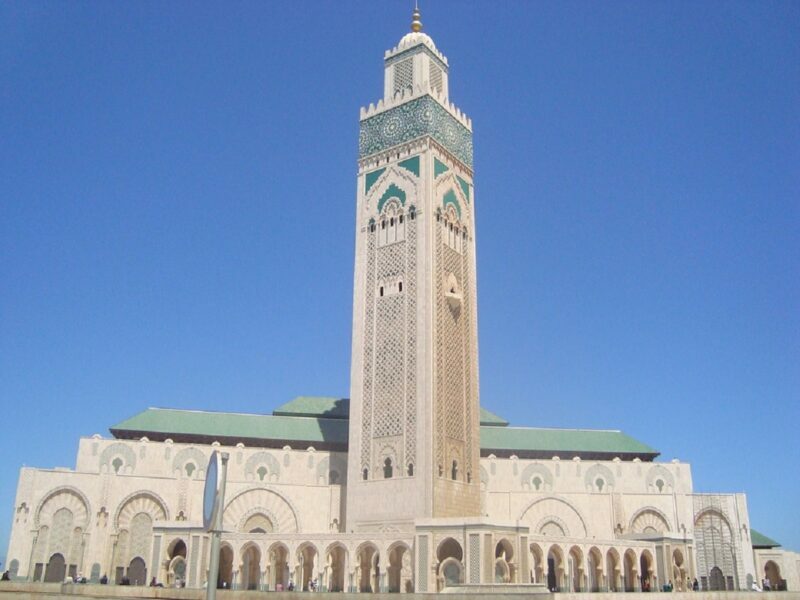 Hassan II mosque is the second largest one in Africa and the fifth in the world. Its construction lasted 7 years from 1986 to 1993. The mosque located on a platform overlooking the Atlantic Ocean, is open to everyone through one hour guided tour. The mosque with a beautiful architecture from the spacious courtyard can accommodate up to 25,000 worshipers. At night during Ramadan, the mosque is full inside and outside by worshipers for prayer called “ Tarawih ”. Located Between the harbor and the Hassan II mosque, it represents the reflection of old life in the city. So, is really a must to discover the charm hidden behind the old part of the city as well as in all moroccan cities. 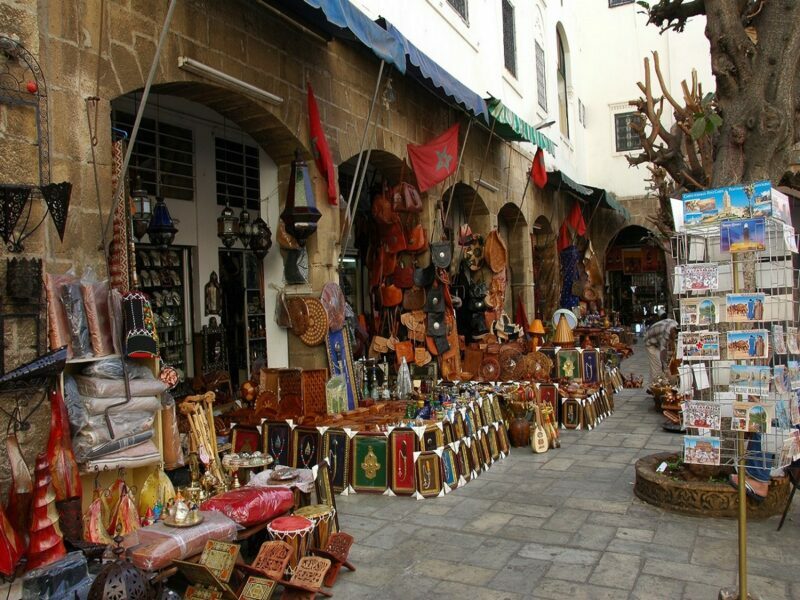 It is easy to get lost in old medina witch is full of labyrinthine small streets and you find also many shops with handcrafted and moroccan traditional products. So, it is a suitable place to buy some souvenirs for your family and freinds. 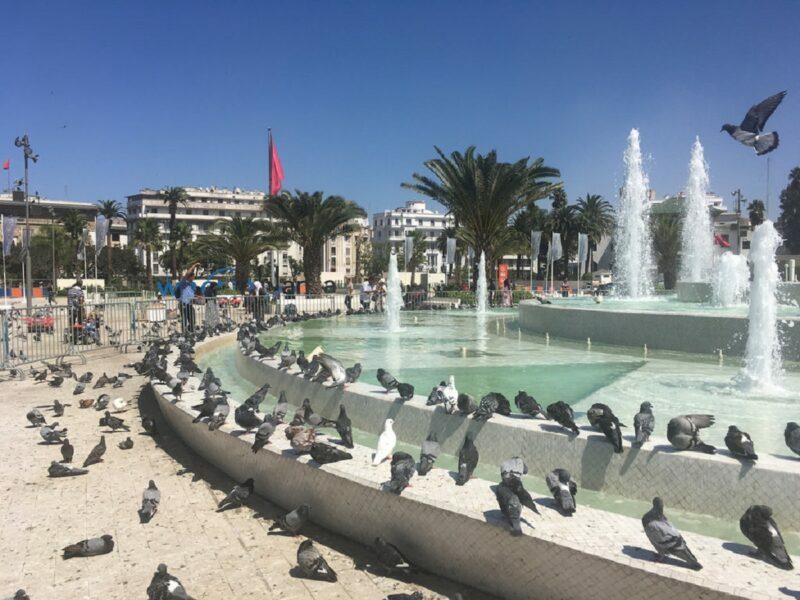 The Corniche Ain Diab is a very popular place in Casablanca and while visiting this city, you have to go there to have a walk, fun and relax. In Casablanca, between the island of Sidi Abderrahman and the tip of the corniche, extends the corniche Ain Diab. About two kilometers, the beach and the coastline have been laid out for relaxing and walking. Locals and tourists go there to enjoy the sunset, go for a jog or go out with friends to restaurant. The district of Habous, Unique creation in Morocco, offers one of the most picturesque faces of Casablanca. It is in the southern part of the city, just behind the Royal Palace, that extends this new medina born from the urban plan initiated by General Lyautey in the 1930s. 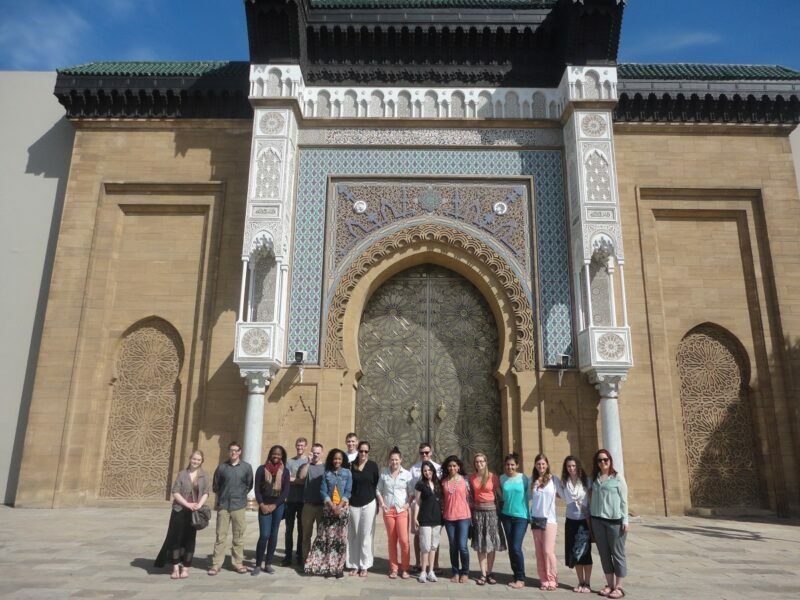 In the district, you can see a strong European influences in architecture with traditional Moroccan riads and hamams. The Habous Quarter with its mix of architecture, is a fantastic area to wander around and admire the alternative views. In order to learn a little more about this area construction and its history, it is a good idea to get a guided tour. First of all, the King of Morocco, has almost in every city a palace. For example, the one of Casablanca, is a principal royal residence for a royal family and host of important royal events and activities. 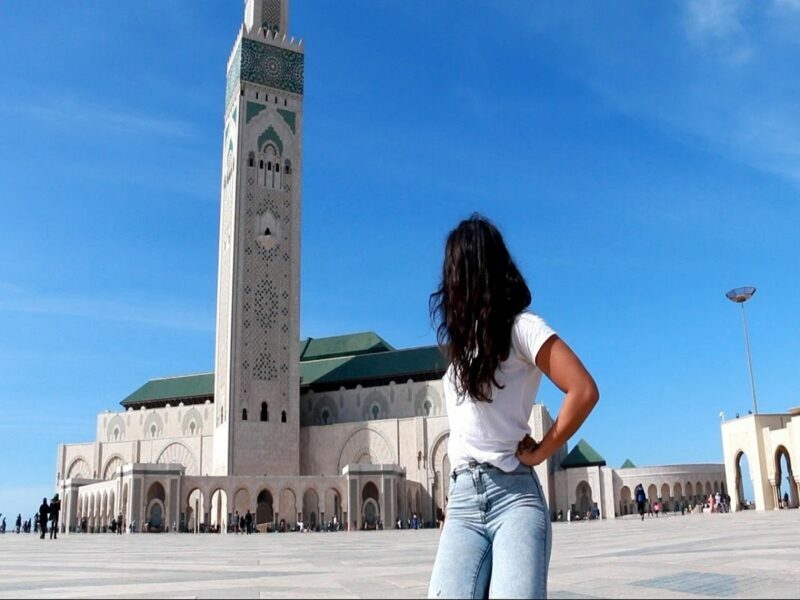 The King’s Palace in Casablanca is just as grand as the rest of them in all morocco, with its surplus of guards, enormous open square at the front, and a grand exterior which you can enjoy. But, any closer access to king’s palaces in all Morocco seems difficult to come by. However, you can just admire the architecture and see from the outside and it’s worth it. This is a nice square with a fountain, lots of pigeons and it is great for kids to feed pigeons corn or chase them. 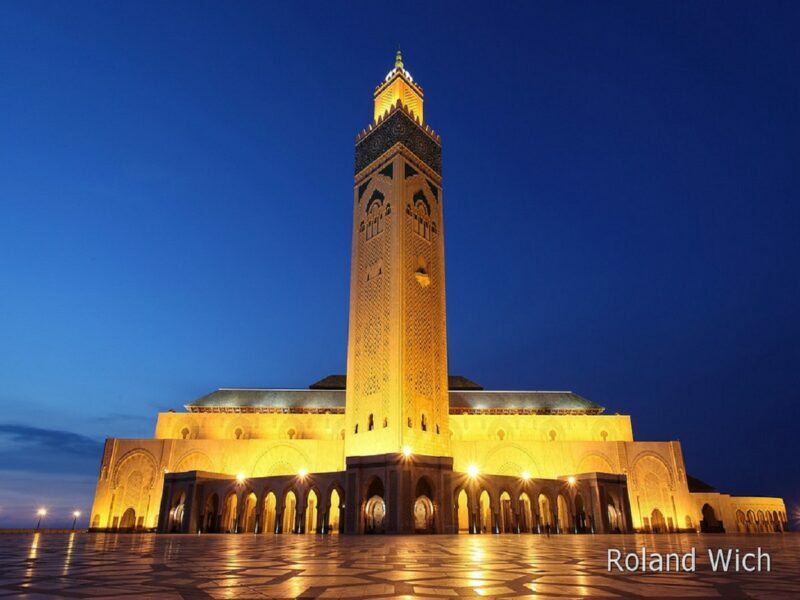 The Mohammed V Place is a good chance to experience the work of architect Henri Prost. Also, the square hosts Marshal Lyautey’s statue who is the first French Resident-General in Morocco between 1912 and 1925. Arab league park, Casablanca‘s biggest open space designed in 1918 and is located in the south of Mohamed V Place. This Park offers a choice of small cafés and is perfect for games and walks. 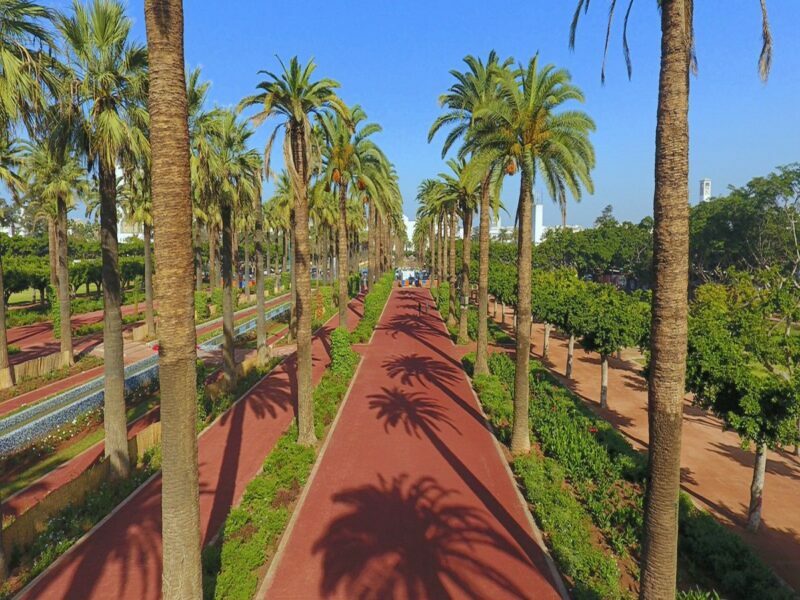 The park crossed by the Boulevard Moulay Youssef, is on an axis with ficus trees and palm. 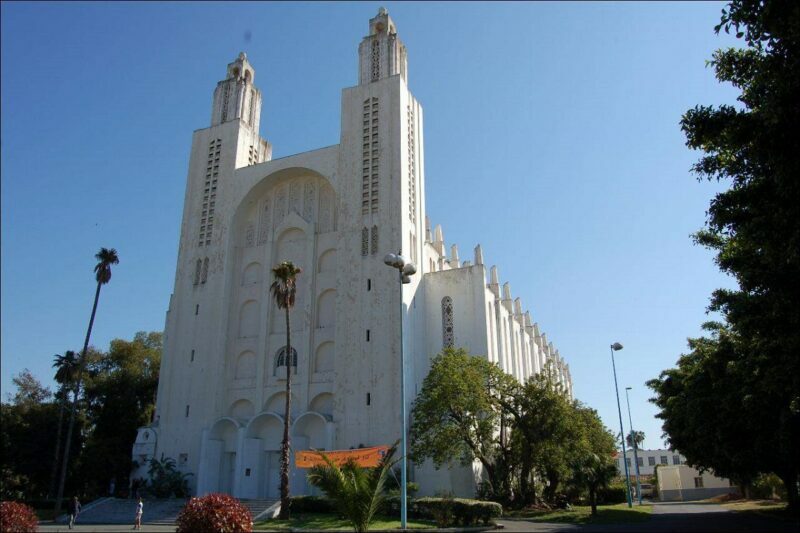 The Casablanca Cathedral is a former Roman Catholic Church. It is constructed in 1930 and was designed using the Neo-Gothic style, by a French architect Paul Tournon. After the independence of Morocco, the cathedral stopped its religious function and became a cultural center open to visitors. 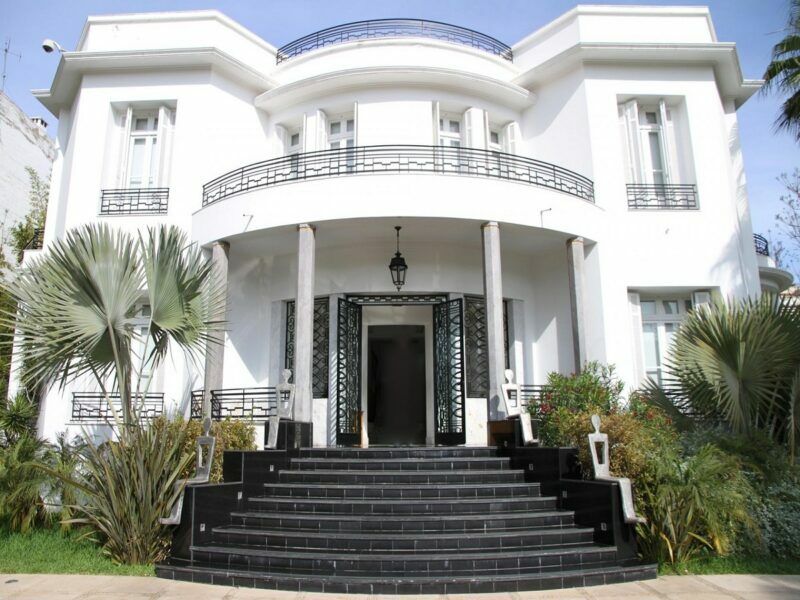 Arts Villa, situated near the League Arab Park, is one of the largest museums in Casablanca. It promotes contemporary arts in a framework of Moroccan culture and heritage. Also, it features artworks permanently, temporary expositions of contemporary and international artists. Arts Villa, hosting numerous cultural events, provides a different perspective on Moroccan culture and is a beautiful piece of Art Deco architecture daring back to 1934. Where is Agadir Located ?